At the beginning of the year, I caught ABC’s two mid-season short series, Galavant and Marvel’s Agent Carter, both in their second (and, alas, final) seasons. Agent Carter was the 1940s-set spinoff of Hayley Atwell’s popular character from Captain America: The First Avenger, and continued the Marvel Cinematic Universe’s pattern of filling in details of its world. In this case, that meant spending more time with Howard Stark, father of future Iron Man Tony, and his man Jarvis (and filling in more of his backstory). However, it put off the foundation of SHIELD as once more Agent Carter found herself working on the outside (a situation that allows for both more drama and more overt commentary on the difficulty women found finding a place in postwar society once the boys came back from fighting). The second series found Carter traveling to Los Angeles and getting mixed up in a case involving “zero matter,” a mysterious power source with links to another dimension, and one that, if uncontrolled, threatened to destroy the world. Zero matter was also part of the origin of the season’s antagonist, actress/scientific genius Whitney Frost (a barely fictionalized Hedy Lamarr). Frost’s frustration at being held back by men’s low expectations, revealed in flashback, and the way she eventually obtained power through manipulating men (as a movie star, as the power behind a rising politician, and as the lover of a mob boss) made for an interesting counterpoint with Carter’s own struggles living in a “man’s world.” The first Captain America film and the Agent Carter series have been some of my favorite parts of the MCU, so it’s unfortunate that Agent Carter won’t be returning for a third season (and with Carter’s death from old age in the current movies, we probably won’t be seeing much more of Atwell in the MCU unless there’s a special or a flashback, as in Ant-Man). Galavant also ended after only two seasons: the musical comedy spoof was a favorite of mine in its first season, as the charming and dashing title character (played by Joshua Sasse) sought to rescue the love of his life, Madalena (Mallory Jansen), from the dastardly King Richard (Timothy Omundson) while teaming up with another princess (Karen David) displaced by Richard’s conquest. That traditional-sounding fairy tale setup was consistently undermined at every turn: Galavant, despite his rakish charisma, was a washed up has-been, supported in his return to form by his plucky squire (Luke Youngblood, memorable from Community for his turn as Magnum); Madalena turned out to not be waiting for her prince to rescue her, but was a more practical-minded gold-digger who considered being the King’s wife an upgrade: or at least she would if King Richard weren’t so ineffectual and childish. The second season explored the fallout of these character dynamics, with Madalena becoming a full-fledged power-hungry villainess and Richard, unseated from his own throne, befriending Galavant and discovering his latent capacity for heroism. Both seasons came to life with knowing references to clichés from both fantasy and musicals, with songs by Alan Mencken and an experienced theater cast to bring them to life (as well as a number of guest stars, ranging from John Hamm to “Weird Al” Yankovic) and finding time for moments for side characters such as the put-upon chef (Darren Evans) and his romance with fellow servant Gwynne (Sophie McShera), hilariously plagued by the life-shortening hazards of medieval life. In the same vein, I caught up this year with the first season of Crazy Ex-Girlfriend, the star vehicle of actress-singer-songwriter Rachel Bloom. I’m not sure if I was even aware of Bloom before this year, but Crazy Ex-Girlfriend was one of the most talked-about shows in my circle of friends, and after getting started with Anthony Pizzo’s excellent articles on Bloom’s earlier songs and videos, I jumped on board. Like Galavant, the show is made by and for musical theater fans, with each hour-long episode including two or three songs in a variety of styles, reflecting the inner state of mind of Bloom’s alter ego, musical-obsessed Rebecca Bunch. As laid out in the show’s theme song (ironically, the weakest song in the show), Rebecca was a high-powered but deeply unhappy lawyer in New York City until a chance encounter with Josh Chan, the boy with whom she had a brief summer romance at theater camp years ago. Impulsively, she moves to Josh’s hometown of West Covina, California, and begins a new life, stalking Josh and talking herself into ever-more complicated situations, all while denying to herself that that’s why she moved there. One could call it a deconstruction of I Love Lucy-style screwball antics, and as her earlier work suggested, Bloom is uniquely qualified to balance the comedy and pathos of a fundamentally damaged character. Given my adoration of Community, which similarly made comedy out of a sometimes-bleak perspective, it should be no surprise that I fell hard for this show (even though it took me half a year to finish the whole season, and I haven’t even started on season two). I’ve also been enjoying the renaissance of DC superhero television, particularly Supergirl (which was somewhat uneven in its first season, but has delivered tighter action sequences and vastly improved character work this fall). Star Melissa Benoist is perfectly cast as the title character and is well served by an ensemble that has grown stronger (even with the unfortunate departure of Calista Flockhart as mentor Cat Grant). Aside from the show’s winningly optimistic spirit, Supergirl is also a treat for eagle-eyed fans, (for example) working in a reference to the “evil” Superman from Superman III or casting former TV Wonder Woman Lynda Carter as the President. Another DC program, Legends of Tomorrow, was frequently awkward in its first season, but with the defeat of lame villain Vandal Savage and the exit of the equally lame Hawk people, the show has greatly improved in its second season, with a less heavy tone and more connection to the greater DC universe (both leaning into its time travel gimmick to feature characters like Western antihero Jonah Hex or the World War II-era Justice Society of America), even crossing over with the other DC shows in a faithful approximation of the comic books’ “multiverse” of parallel worlds. Although not connected to the “Arrowverse” DC shows, and generally a show that I drop in and out of rather than watch faithfully, Gotham (a sort of prequel series about future Batman Bruce Wayne as a young boy) has had its moments. The best of all was a mini-arc in which Penguin (Robin Lord Taylor, channeling Crispin Glover’s alien charisma) was reunited with his father (guest star Paul Reubens, who had a cameo as the Penguin’s father in Tim Burton’s Batman Returns). While warmly received by his wealthy father, Penguin was not welcomed by his father’s family, to whom Penguin was simply a freak and an unwelcome intrusion into their plans to inherit the Cobblepot fortune. Over a handful of episodes, this sequence spun from heartfelt reunion to black comedy, and showed the reformed Penguin re-embracing his capacity for violence. It was the show’s high point as far as I’m concerned. Finally, my summer was dominated by two science fiction programs: BrainDead, which I’ve already written about, and Stranger Things, the breakout Netflix series. Stranger Things got a lot of attention for its slavish recreation of an early 1980s aesthetic (primarily drawing from the work of John Carpenter, Stephen King, and Steven Spielberg, but with nods to John Hughes and Freaks and Geeks), but I don’t think it would have worked or been the sensation it was without its central ensemble of youthful actors. Its moody, Carpenteresque synth soundtrack also set just the right tone. 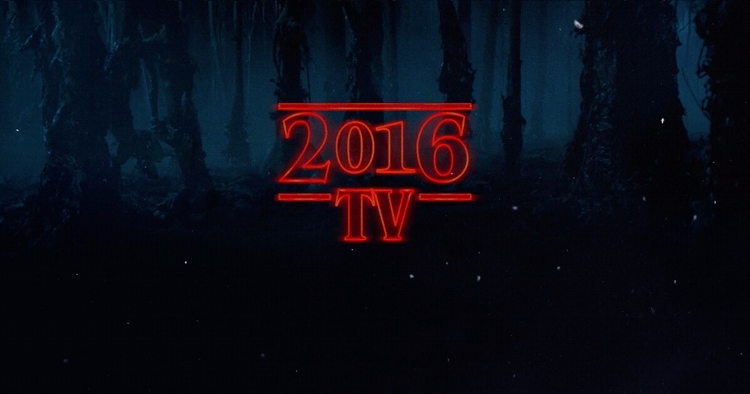 What a fantastic year for television fans, better come with some heat! Do you ever share your movie and TV articles on any film sites, out of curiosity? And if not are you interested in doing so? I’ve written for The Solute (www.the-solute.com): mostly on film, but a few TV articles. I’m always interested in finding new outlets. Thanks for reading! Like what you're reading? Please consider making a donation via Paypal to support Medleyana, in the amount of your choice. Thank you! The only site where new bestsellers are forced to do battle for space on a nerd's bookshelf.